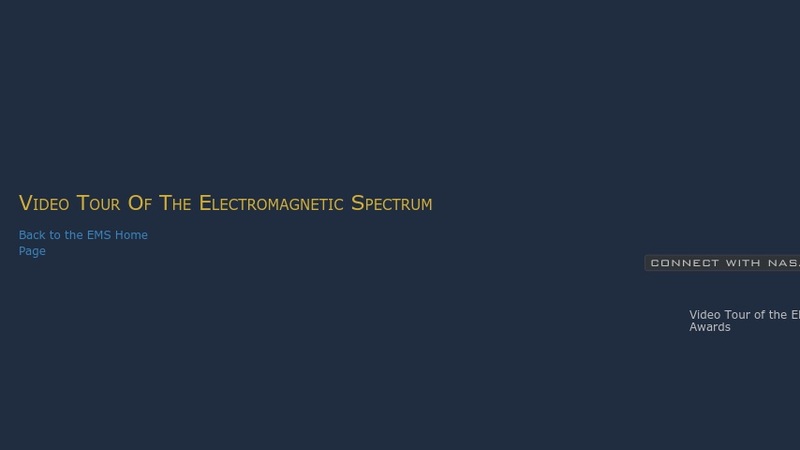 These short videos introduce learners to the electromagnetic spectrum though eight animations including an introduction to electromagnetic waves and one animation for each wavelength of the EM spectrum (Radio, Microwave, Infrared, Visible, Ultraviolet, X-Rays and Gamma Rays). Each wavelength of the EM spectrum offers a construct to illustrate and teach about NASA sensors, missions, and science. Emphasis is placed on relevant science (e.g., lunar exploration) and hot science topics (e.g., climate change). Each video is computer animated and offers engaging illustrations to appeal to middle and high school age learners. The examples and narrative for each wavelength animation build on the learners’ prior knowledge then introduces examples from NASA missions. These examples explore the use of spectral analysis and visualizations that help scientists make discoveries about the world around us using EM waves.